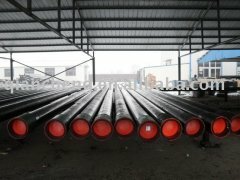 SA210C seamless steel pipe material introduction? 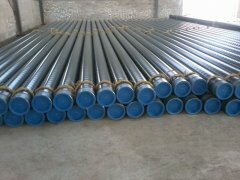 Sa210C seamless steel pipe use: Suitable for boiler pipe and boiler flue pipe, including safety end, vault and support pipe and seamless carbon steel pipe with minimum wall thickness for superheater pipe. 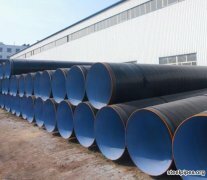 The main production steel pipe of American Standard Steel Pipe: A210A1, A210C, etc. 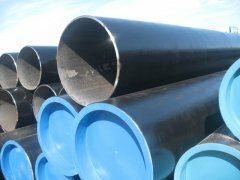 North-Pipe has various types of carbon steel tubes/pipes to meet your various needs. O.D:6-2500mm W.T:0.9-120mm Length: 5.8m, 6m, 11.8m, 12m, or as required. Products for petrochemical industry, fluid delivery, nuclear powe plant, geological drilling, power plant and heat exchanger and so on. 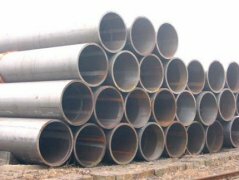 What is the same material for SA210C seamless steel pipe? SA210C high pressure boiler tube is used for heating surface pipe of low and medium pressure boiler (working pressure is generally not more than 5.88Mpa, working temperature is below 450°C); it is used for high pressure boiler (working pressure is generally above 9.8Mpa, working temperature is 450°C～650) Heating surface pipe, economizer, superheater, reheater, petrochemical industrial pipe, etc. between °C). The production process of general seamless steel pipe can be divided into cold drawing and hot rolling. The production process of cold rolled seamless steel pipe is generally more complicated than hot rolling. The pipe blank must first be rolled in three rolls. Sizing test, if the surface does not respond to the crack, the round tube is cut by a cutter and cut into a blank of about one meter in length. Then enter the annealing process, the acidification should be acid-washed with acid liquid. When pickling, pay attention to whether there is a large amount of foaming on the surface. If there is a large amount of foaming, the quality of the steel pipe will not reach the corresponding standard. The appearance of cold-rolled seamless steel pipe is shorter than that of hot-rolled seamless steel pipe. The wall thickness of cold-rolled seamless steel pipe is generally smaller than that of hot-rolled seamless steel pipe, but the surface looks brighter than thick-walled seamless steel pipe, and the surface is not too It's rough and there aren't too many burrs in the caliber. The delivery status of the hot-rolled seamless steel pipe is generally delivered after the heat treatment in the hot rolled state. After the quality inspection, the hot-rolled seamless steel pipe is subjected to strict manual selection by the staff. After the quality inspection, the surface is oiled, followed by multiple cold drawing experiments, and the perforation experiment is performed after the hot rolling treatment. If the perforation is too large, straightening correction is required. After straightening, it is sent to the flaw detector by the conveyor to perform the flaw detection experiment. Finally, the label is placed, the specifications are arranged, and then placed in the warehouse. 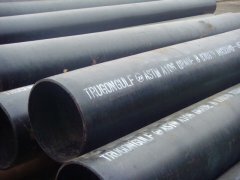 Round tube billet → heating → perforation → three-roll cross-rolling, continuous rolling or extrusion → pipe removal → sizing (or reducing diameter) → cooling → straightening → hydraulic test (or flaw detection) → marking → storage seamless steel pipe The steel tube or the solid tube blank is made into a capillary tube by perforation, and then is formed by hot rolling, cold rolling or cold drawing. The specifications of the seamless steel pipe are expressed by the outer diameter * wall thickness in millimeters. The outer diameter of hot-rolled seamless pipe is generally larger than 32mm, the wall thickness is 2.5-200mm, the outer diameter of cold-rolled seamless steel pipe can reach 6mm, the wall thickness can be 0.25mm, the outer diameter of thin-walled pipe can reach 5mm, the wall thickness is less than 0.25mm, cold Rolling is more accurate than hot rolling. 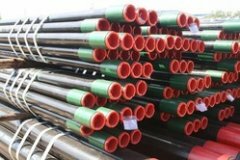 Generally, the seamless steel pipe is formed by hot-rolled or cold-rolled low-alloy structural steels such as 10, 20, 30, 35, 45, etc., such as 16Mn and 5MnV, or 40Cr, 30CrMnSi, 45Mn2, 40MnB, and the like. Seamless pipes made of low carbon steel such as 10 and 20 are mainly used for fluid conveying pipes. 45, 40Cr and other medium carbon steel seamless pipes are used to make mechanical parts, such as the force parts of automobiles and tractors. Generally, seamless steel pipes are required to ensure strength and flattening test. 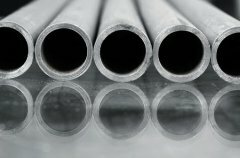 The hot rolled steel pipe is delivered in a hot rolled state or a heat treated state; the cold rolling is delivered in a heat treated state. Hot rolling, as the name suggests, has a high temperature of the rolled piece, so the deformation resistance is small and a large amount of deformation can be achieved. Taking the rolling of the steel sheet as an example, the thickness of the continuous casting blank is about 230 mm, and after rough rolling and finish rolling, the final thickness is 1 to 20 mm. At the same time, due to the small width-to-thickness ratio of the steel plate, the dimensional accuracy requirement is relatively low, and the shape problem is not easy to occur, and the convexity is mainly controlled. For the organization, it is generally achieved by controlled rolling and controlled cooling, that is, controlling the rolling temperature and finishing temperature of the finishing rolling. Round billet → heating → perforation → heading → annealing → pickling → oiling (copper plating) → Multi-pass cold drawing (cold rolling) → blank tube → heat treatment → straightening → hydraulic pressure test (inspection) → marking → storage.